When two elephantine economies fight in a trade war, there can be no winners. According to the International Monetary Fund, a 10% tariff increase in total global trade would lower global growth by 0.5%. The biggest losers would be countries that depend on trade for growth. Trade has been the key growth driver for many Asian countries, including Malaysia. A look at Malaysia’s open market indicates that it would be caught in the middle with total merchandise trade accounting for 120% of gross domestic product (GDP). Hong Kong and Singapore rank higher in this measurement with merchandise trade accounting for 331% and 212% of GDP respectively while Indonesia and the Philippines rank lower. Vulnerable economies can also be identified as those most exposed to trade with the US and China and those with dominant manufacturing sectors connected to transnational value chains. Taiwan and South Korea are heavily exposed to the Chinese manufacturing sector while Asean would also feel the impact with 12.5% and 11.4% of its total exports going to China and the US respectively. Exporters have several options to reduce the risk and impact of higher tariffs. They could do nothing in the hope that the conflict will be a short one and that the scenario will improve after the mid-term election in the US in November. Or they could talk to their import partners about sharing the cost. Nonetheless, higher tariffs would squeeze the profit margins of businesses, forcing them to pass on the pain to suppliers and/or making them push prices up for consumers. In turn, consumers with fixed purchasing power can only reduce the quantity consumed as prices rise or look for cheaper alternatives. Ultimately, jobs may be lost as corporate margins drop. Indeed, there will be no winners at the end as the volume of global trade declines, jobs are lost and confidence drops. While higher duties are inevitable, their direct impact is easier to determine than how global trade shifts in a trade war. Nonetheless, trade diversion over the longer term could benefit Malaysia or mitigate the impact of trade tensions. Indeed, a trade war triggers market uncertainty, weighs down sentiments and affects asset prices and emerging market currencies. There are concerns that the negativity stemming from an increase in the cost of trade and a decline in the volume of global trade could escalate into a loss of investor confidence and loss of wealth in the financial markets. Amid the ongoing US-China trade tensions, the China NBS manufacturing PMI export orders component remained subdued at 49.8 points in July, following a notable decline of 1.1 points in June. As for the US, tariffs have pushed up the prices of washing machines while the price of US soybean has plunged, adversely affecting American farmers and forcing the government to offer US$12 billion in aid. On an aggregate basis, the second-quarter earnings reporting by most US companies has seen little immediate impact from the trade tensions. 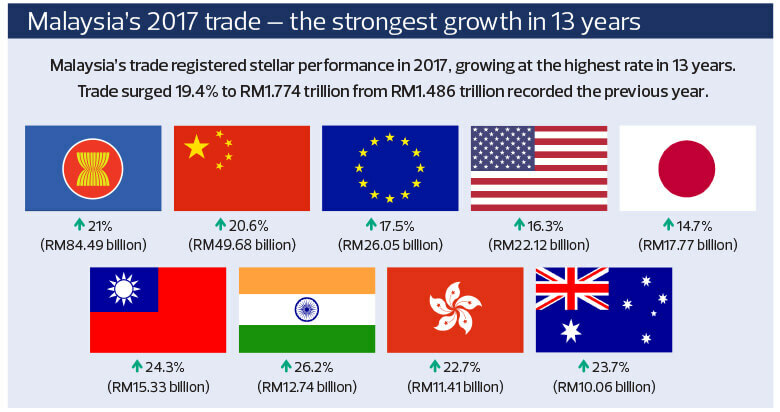 As for Malaysia, there has been limited direct economic impact from the trade war, although the second-round effect is being felt by MYR and other EM currencies. The Trump administration’s “America first” agenda got it started on protectionism. 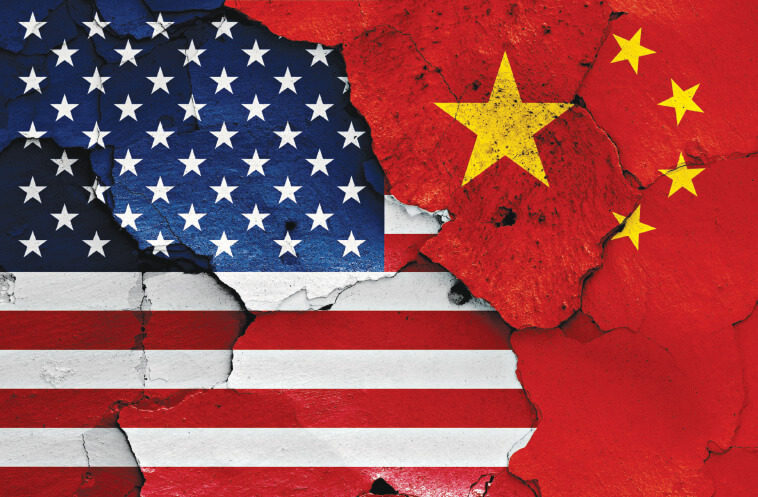 The unilateral trade war with China, the US’ largest deficit partner of US$375 billion, officially started on March 22 after the US Trade Representative released a report on its findings of unfair trade practices related to US intellectual property. Of the US$50 billion list subject to a 25% tariff imposed by both the US and China, the first tranche of US$34 billion was implemented on July 6 while the second tranche of US$16 billion became effective on Aug 23. The markets are now focused on the outcome of the US$200 billion list, which recently saw tariffs increase from 10% to 20%. With the higher import tariffs, the US Trade Representative has extended public consultation to Sept 5. Unlike the US$50 billion product list, which includes mainly capital and intermediate goods, the US$200 billion list will show more consumer goods. Exporters of intermediary products stand to benefit from the supply chain disruption. The upside of trade diversion for Malaysia will be limited, given competition from cheaper manufacturing bases in countries such as Vietnam. Integrated circuits, semiconductor devices and computers are the top items exported by Malaysia to the US. Malaysia may benefit from the supply chain disruption as the US could source electronics and electrical components directly from it instead of via China. Malaysia may also benefit from China shifting LNG imports from the US to other countries. Other sectors may include plastics, petroleum, rubber and palm oil. The scope of measures implemented so far is limited. An escalation of the trade war will further disrupt the supply chains and trigger volatility in major stock markets and currencies. Markets will continue to be volatile, given other externalities, such as contagion risks (from the Turkey currency crisis), geopolitical risks and interest rate hikes by the US Federal Reserve. While Washington has yet to impose full tariffs on Chinese imports, some Asian economies will suffer a bigger fallout than China should such a move materialise as China’s economy is comparatively closed. In our view, local investors should not overreact as the global macroeconomic outlook is still relatively healthy. Instead, they should focus on the selection of quality stocks that offer long-term growth potential and have the ability to ride above the “noise”.